Successfully Added HK Warehouse Blackview BV7000 Rugged Phone - Android 7.0, Quad-Core CPU, 2GB RAM, Gorilla Glass 3, 1080p, IP68, Dual-IMEI, 4G to your Shopping Cart. If you are looking for a durable outdoor smartphone, the Blackview BV7000 rugged phone is perfect for you. This extremely tough smartphone features an IP68 design and comes with Corning Gorilla Glass 3. This means that your phone is protected against drops and scratches. Additionally, it is fully waterproof and dust proof. No matter your environment, this rugged phone won’t let you down. It comes with Dual-IMEI numbers and 4G connectivity. These features will keep you connected anywhere you go. Whether you’re at home, in the office, or exploring the outdoors – this Android phone always keeps you within reach of friends and family. This Android smartphone runs on the latest Android 7.0 operating system. 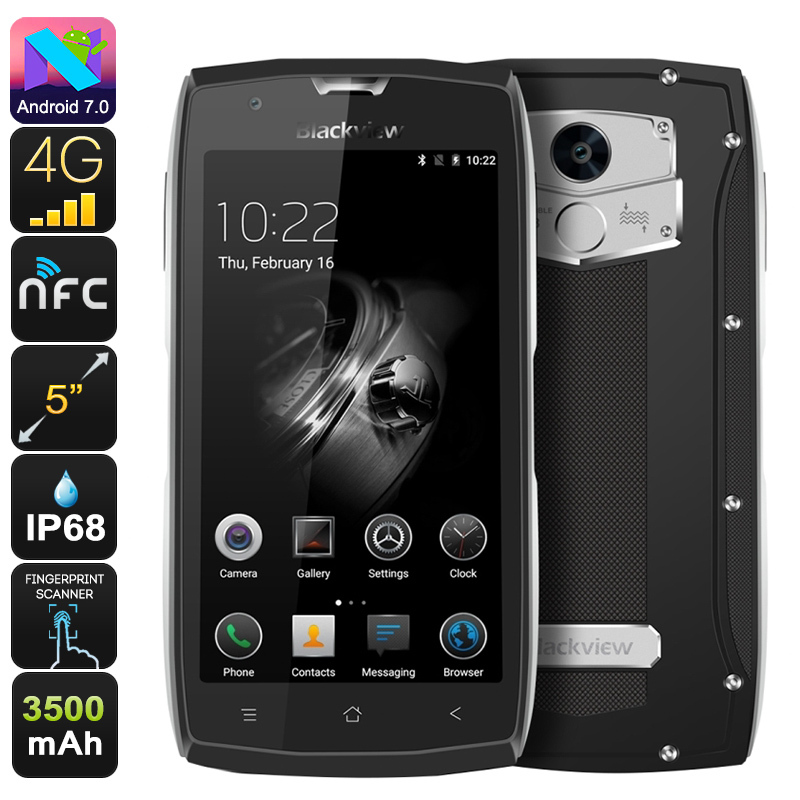 If you wish to undergo a smooth experience, the Blackview BV7000 will give it to you. You’ll be able to enjoy the latest software features, games, and applications. Nothing is too much for this rugged Android phone. On its 5-Inch display, you’ll be able to view all your favorite media in crisp 1080p resolution. This truly allows you to enjoy a cinematic experience from the palm of your hand. Whether you like to watch a movie, play games, or browse the web – this Android phone will meet your mobile demands. With respect to its hardware, this rugged phone holds a sophisticated Quad-Core CPU and 2GB RAM. Additionally, it comes with 16GB of internal memory. This rugged phone lets you enjoy demanding applications and games without dropping a frame. Simply head out to the play store, and you’ll be able to enjoy your favorite media without spending a dime. 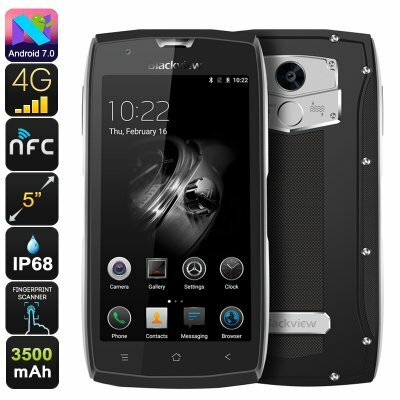 For the real entertainment lovers among us, this rugged smartphone supports a 32GB SD card slot. You’ll never run out of storage space again with this Android smartphone at your side. The Blackview BV7000 features an ultra-fast fingerprint scanner that lets you unlock your cell phone in the blink of an eye. It furthermore supports gesture sensing. This means you’ll be able to browse through your phone’s features without actually needing to touch its display. If you work in the outdoors and often have dirty fingers, this feature is great for you. With its 3500mAh battery, this Android phone gets you through the day without needing to recharge your device. The Blackview BV7000 comes with a 12 months warranty, brought to you by the leader in electronic devices as well as wholesale electronic gadgets..